I have been able to quiet it down by placing foam tape throughout the quarter panel dash I did seem to think it was coming from the radio and put some cardboard as a wedge to help it from moving. That didn’t do it. After i padded the quarter panel trim, one time out of three or four times so far i think i was getting some rattle from the union at the defroster grill (on panel) and the duct. For example, everything was fine this morning on the drive in. I was a little concerned the tape i used was to thick. I did hear the dash creek from expansion heat (not moving) and I am thinking maybe it has settled in. This weekend i am set to get some flock tape and I am going to try and covertly put some tape around the duct. So weird I got the sound after I padded the panel at random times. Maybe it has settled in? I doubt it. Is the 6ohm absolute. I have a pair of morimoto 9ohm resistors With morimoto bulbs and wil get hyperflash with lights and brake lights. If i dont have the headlights works more then 1/2 of the time. Is the bcm that sensitive. I have the resistors on all four corners of the truck. But just get the messege in the rear right. Left rear fails once in awhile. Actually im happy to have it installed i can deal with it. It is ever so slight anyway. From what i have been told is perfectly normal. Considering i removed a 6 inch between the pcv valves and replaced with over three feet of hose and a can seems fine. More hose does this creat more vacum. Maybe thats what i am hearing?? I just installed an elite can on 6.2 sierra. I have noticed a slight hissing sound. Not sure where its coming from. Searched onother forums this is semi normal. Is that true? 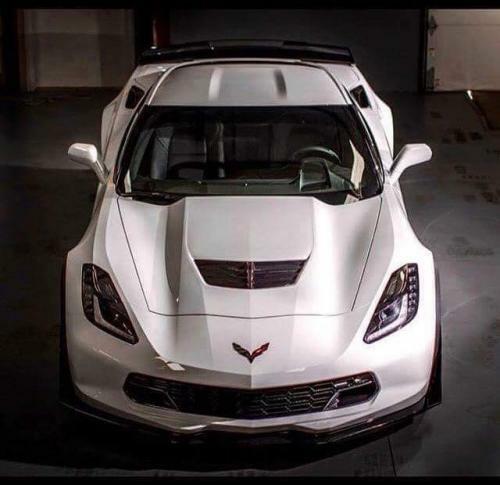 Is this mod that hard to do...you have to take the dealer..The front bumper has to be removed...Cant be done in backyard?? Its all good I found the gm upfitter...its is the brown wire on the harness connector. its has an abbreviation it is brown and blue I believe. Thanks brother!! Hey yall: I did a full on retrofit with my 15 Sierra Denali. I went as far as replacing the led boards to amber flashback. So now I lost my daytime running lights. everything else works fine. But cant get my darn DRL to turn on? I checked the stock harness and I am getting no power at the White wire on the connector. Anybody have any thoughts on this.